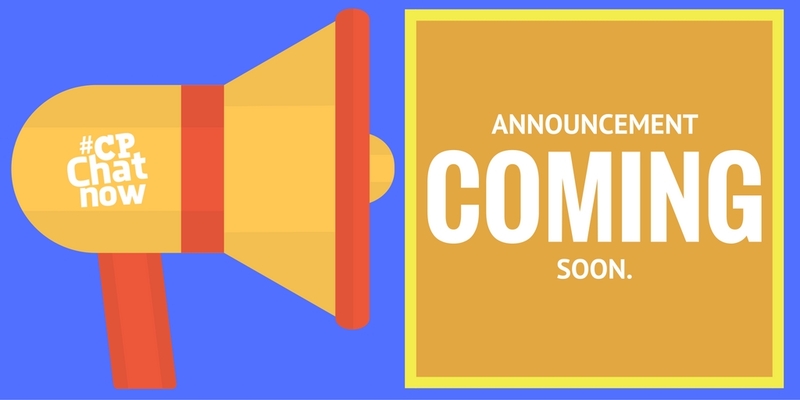 Hello, #CPChatNow co-host Zachary Fenell reporting with an overdue update. After all, a month-plus passed since the last post to our home page. Maybe you wonder what happened to the weekly recaps. Or, curiosity eats you up about our other happenings. Time to quench your thirst for information! What Happened to the Weekly Recaps? In October a few concerns regarding the weekly recaps emerged. Addressing said feedback left the recaps temporarily suspended. That suspension now lifted. Within our private Facebook group we agreed to type up the previously unwritten recap rules. You can check those out here. Each week at the chat’s start I will link to the rules, providing a weekly reminder. The goal involving ensuring #CPChatNow remains an environment people feel comfortable sharing in. #CPChatNow Apparel Back for the Holiday Season! Let #CPChatNow keep you warm throughout winter. Yes, another t-shirt sale launched last Friday. Additionally to t-shirts, you will find long sleeve shirts, hoodies, and more available! Take a look at your options- #CPChatNow T-Shirt and Winter Apparel Fundraiser. Funds raised will again go to the non-profit Keep On Keeping On (KOKO) Foundation. Over the summer our #CPChatNow T-Shirt and Tank Tops sale raised $136.70 for KOKO. 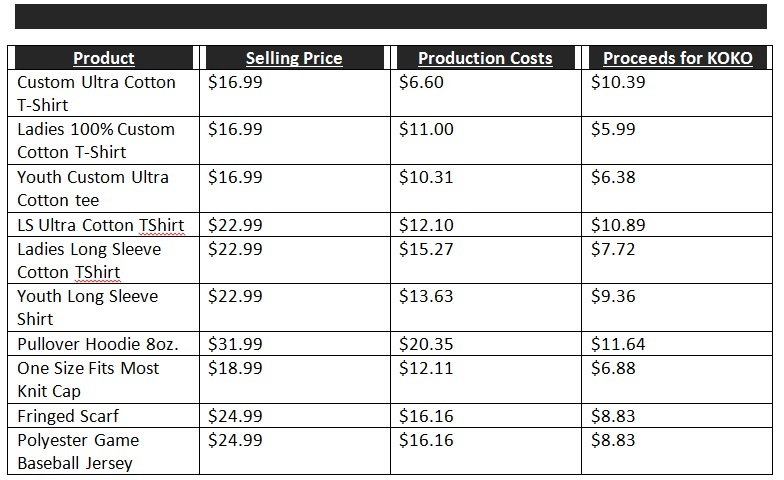 The following chart lists current sale prices, production costs, and proceeds going to KOKO. Design wise all three options from the summer sale return. Unfortunately color restrictions makes Erin Diericx’s train design ineligible for embroider products (knit cap and fringed scarf). Still you should enjoy enough product and design combinations to satisfy. Visit http://customcat.com/campaign/cpchatnowtshirtandwinterapparel by Friday, December 23rd to order. If you plan on giving #CPChatNow apparel as gifts, order ASAP. Obviously the sooner you order, the more likely you will receive your apparel by the holidays. Blake Henry and I strive to make our community exactly that, a community! Communication plays a vital role in such success. Hopefully you feel valued. Please contact Blake and me anytime with any thoughts or suggestions. You can direct message us separately or together on Twitter. 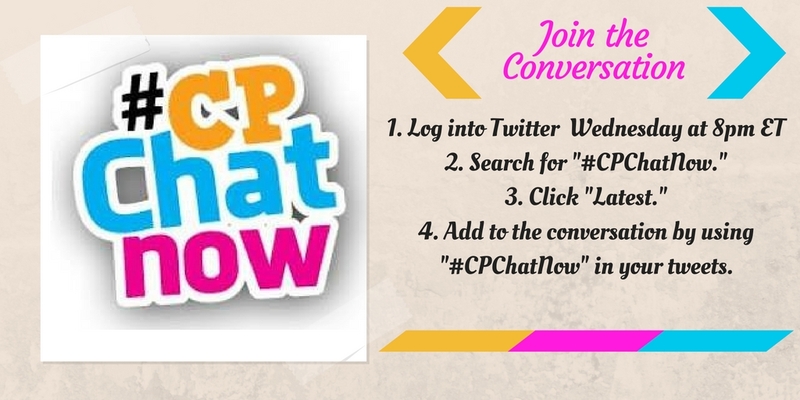 Or, send a direct message to the #CPChatNow Facebook fan page. Thanks for partaking in our community!